Parkway Publishers, Inc. announces the release of a new children's book by North Carolina natives, Jonathan Graves, author, and Gail Haley, illustrator: ISABELLA PROPELLER and The Magic Beanie. 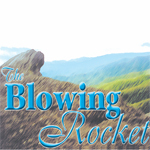 Blowing Rock News is the fastest growing media company in the High Country, capturing the "heart" of the life and times of Blowing Rock and its surrounding communities. Timely. Comprehensive. Objective. Serving Blowing Rock since 1932. Blowing Rock's only hometown newspaper with complete coverage of all area events and festivities. Published each Thursday. Office at Glenwood Condos, Sunset Dr. at 321 bypass. 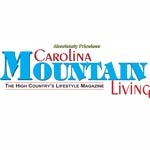 The High Country's lifestyle magazine. Locally owned, written and produced. Distribution includes all of Watauga and Avery Counties and parts of Mitchell and Ashe counties. Subscriptions available. Highlighting stories and subjects for locals and second homeowners that make the most of living in North Carolina's High Country. A compelling publication giving visitors an inside look at this magical area with tips on the best places to eat and shop. Call for details on stories, subscriptions and advertising. The High Country Association of REALTORS unites real estate professionals in the community for the benefit of REALTORS and their clients. The Association is dedicated to the advancement of professionalism in the industry and is committed to maintaining a high level of ethical business practice. High Country Press is a free weekly community news publication providing regional news, events, music, movie times and classifieds listings for the High Country.